IP Security Camera System is a popular Video Surveillance System used by Businesses in Singapore to perform a critical role in the deployment of any integrated security system solutions. 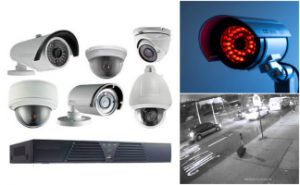 Over here at T3 Security Integration, our CCTV Systems consultant give a set of fair comparison between different CCTV Networking system platforms so that the customers can make an informed decision in choosing a suitable surveillance cam system that they need. We felt that it is important to support & pro educate our customers considering to buy a CCTV Surveillance System as most end users don’t actually realize that in fact there are two inherently different CAT cable networking system platforms available for most Security Camera System. 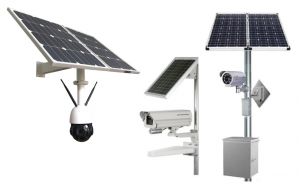 On a regular basis at T3 Security Integration, our team of highly experienced Security Surveillance System specialist, application technicians work with high resolution video surveillance and Solar Powered Camera technologies. 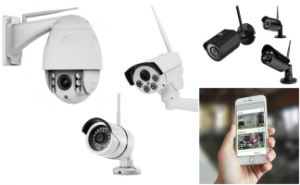 Our business has been specializing in IP based security camera technology for over 10 years now and has gained in-depth experience in the terms of providing free advisory services, Technical Wireless Security Camera consulting, Site deployment service and designing of surveillance technology systems. 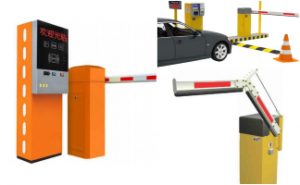 For instance, if somebody inside the camera field of view mounts over the high perimeter fencing and gains entry into the restricted area, the proactive surveillance system products would instantly notify you to your mobile phone as long as you are connected via a 3G or 4G channel connection network account. The smart motion detection software in the camera and NVR recorders can accurately differentiate between different types of movement. In a typical IP CCTV setup, the main difference here is that the camera by on its own is capable of streaming High-resolution HD digital video straight to a Network Video Recorder (NVR). As the video format used is digital, there is no necessity for any analog to digital megapixel data conversion. As the CCTV IP camera is an networked hardware, the wiring used is normally only a simple standard computer Ethernet Networking cable. Such a digital IP networking port connection allows for an effective directional communication between users on the network and the cameras. Video image megapixel quality which is dependent on the camera zoom lens is also another very crucial area of consideration. During surveillance operations, it’s what is moving within the video CCTV cameras Angle of view that you need to precisely capture in high quality and gets/obtain as much visual detail as possible. Other price benefits of using an IP video surveillance is that is can make use of pre-existing information networking infrastructure. It is interesting to observe is that in both an Analog & IP CCTV systems, the topology of both surveillance system cables are essentially same whereby both the DVR and NVR is where the central video surveillance software logic package resides. This means that the DVR & NVR is the core of the entire surveillance system. It is where all the system logic which executed key video management functionality resides. utilizing a standard web browser, such as Internet Chrome or a viewing client, end users on the network can efficiently transmit video sequence search based on camera location event type, time and date, regardless of whether the video is stored and play straight from the storage media itself. In a standard CCTV surveillance solution, analog video is electronically sent directly from the CCTV cameras to a central Digital Video Recorder (DVR) which helps to electronically convert the analog data packets into digital video format. In this Analog surveillance system, the Coaxial cable used for data delivery can only transmit data in a single direction. In a centralized IP camera system, the video data captured has to be 1st processed and packaged by the NVR before it can be searched and accessed. As all the footage store data is required to be streamed to pass through a central point such as an NVR, it presents a possible resource bottleneck which can potentially result in Network and server resource overload to quickly happen. One of the important things we advise customers to seriously consider when considering a security surveillance system is to determine whether they need a Reactive or a Proactive system as there is a huge difference between the two systems. A proactive CCTV system is one that pro-actively reaches out to contact you if the camera encounters a specific predefined incident happening perhaps during a scheduled business time period or 24/7 round the clock. 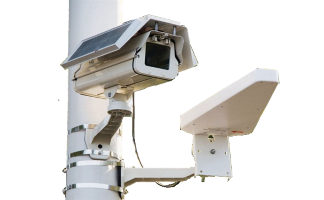 A proactive security camera system can be easily set up with simply a minimum of two outdoor surveillance cameras, with one at the Front and one in the Rear. When deployed correctly with the right technologies, such a system can protect your organization against most intrusion attempts. In the event that you’re away overseas for two weeks and there is no one else actively safe looking after the building premises, a proactive surveillance system can be set up in order to pro-actively notify you as soon as soon as perhaps a human intrusion activity is detected. Once the Alert has been triggered, it will allow you to immediately enjoy a live view at the convenience of your smart phone either via a free Mobile App Application or Web browser app. This gives you maximum situational awareness of the security situation to see if there is any potential problem and allow you to handle the situation in a responsive manner. For instance, in a scenario of an intruder detected visually by the system, the user can immediately alert the local police to immediately dispatched a patrol vehicle to arrest the criminal. 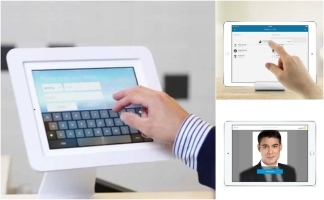 In addition, such a pro-active surveillance solution enable you to dynamically interact with the subject whoever is within the vicinity of the CCTV field of view. 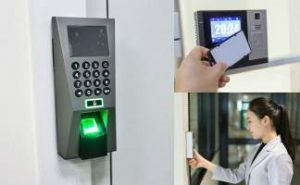 Such VoIP enabled CCTV has a built-in integrated program that will enable it to initiate a phone call to a pre-defined smartphone in the event that a specific pre-defined alarm trigger has been triggered. The power of proactive CCTV systems is that they put men & women in a situation of being able to respond quickly to a security scenario before it gets out of control. 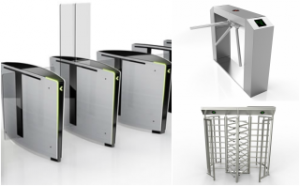 As such proactive systems allow you to prevent crime before it can occur, Deploying a proactive system can almost potentially create a much better scenario outcome compared than only being able to positively recognizing somebody after the theft, arson or vandalism has been occurring where the financial cost is often irreversible or extremely expensive. Although proactive Surveillance systems do require you to buy more sophisticated hardware technologies which are more expensive, the long-term return on investment is cannot be compared to the upfront financial investment. Such event triggered camera recording capability is available in most of the CCTV systems sold in the security market today. Although many of the digital surveillance system design and buying guides available out there in the market recommend that the first thing you need to consider is the Dome, Bullet or PTZ (Pan Tilt Zoon) camera vision hardware, there is however, a much more important step or decision that you need to be able to make before you look at any hardware items, product accessories or any software, which is choosing which cable networking system platform to design your CCTV system on, ie. whether to adopt a Centralized or a Decentralized platform. 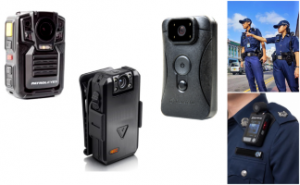 The camera body casing has a durable weatherproof custom design which enables them to be installed directly out of the box without the need for the care protection from an outdoor weather-proof enclosure. With the decentralized CCTV camera system, the Dome or PTZ cameras themselves are endowed with the NVR feature functionality. This means that a separate NVR is not required and removing the need to buy an expensive licensed video log management app software. This capturing of usable high-resolution video log means the video files can be accessed and read directly from the memory storage device itself, either Locally or Remotely via a network wire cable and an internet browser. Using a freely available client management software, end users can have the power to directly connect & access the stored video work logs and directly perform time & date based event searching. Such a decentralized cable network system helps to virtually bypass the requirement for a central NVR & effectively release you up from the expensive long-term video management software licensing costs and server hardware service requirements. However, it is important to note that all the Video record processing work, Alarm triggering event, and Storage management is carried out by an NVR (ie. 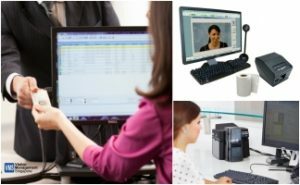 Network Video Recorder), which often consist of a Centralized PC computer which is installed with a licensed video log management software package. With a centralized system, all the processing has to go through the NVR first in order for the user to enjoy full functionality. If for example, the CCTV camera recorded directly to an external storage device, such as an SD card, Hard disk or NAS without a central NVR added to the same network, work users could not perform smart date and motion event-based searches on the stored video footage. The lack of camera processing services feature in a centralized platform means that all video log information has to pass through the NVR connectors first. When it involves capturing to a pre-installed storage memory for the objective of archive storage, this can only occur once the NVR has finished the video data analysis. It is only after then can personnel is able to perform useful searches on the archived video log using Time, Day and Event input parameters. The entire decision-making process and overall reliability of the surveillance system deployment hinge on the central NVR because in such a centralized surveillance system the NVR processes all the motion Event triggers configuration, Video Storage management & administration, and Video post-analysis. In the event that the NVR or any wire cables go down, the whole system will stop functioning. The video management software license in the NVR of a centralized system is usually charged on a per Camera basis. 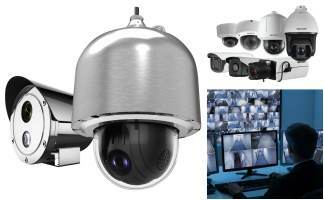 This means that there is an additional expense during orders for each Camera added into the CCTV system. In addition to the existing NVR server subscription price, certain Video management software manufacturers also required to pay an annual software update fee to allow for software upgrades. With a decentralized network system, there is no need to account for additional Video log management software licensing costs as the software is already pre-installed in the cameras. Each of the camera in a decentralized system is able to essentially operates independently like individual DVRs on the PoE wire network. This means that there is no central critical area of operational malfunction, as every camera can independently work & read to its own individual storage memory built inside the Megapixel camera. In addition, PoE CCTV Cameras can be configured to instantly perform sending of motion event based alert notification by sending an email SMS or making a phone call that contains a pre-recorded detailed message relating to the incident and a suggested course of action to take.